As Apple's stock rose to new high on Monday, the technology giant set another record: It became the most valuable public company in history. Apple's market value -- the price of its stock multiplied by the number of outstanding shares -- soared to $623.5 billion at the market's close. That eclipsed the previous record of $618.9 billion set by Microsoft on Dec. 30, 1999, at the height of the dot-com bubble, according to Howard Silverblatt, S&P's senior index analyst. 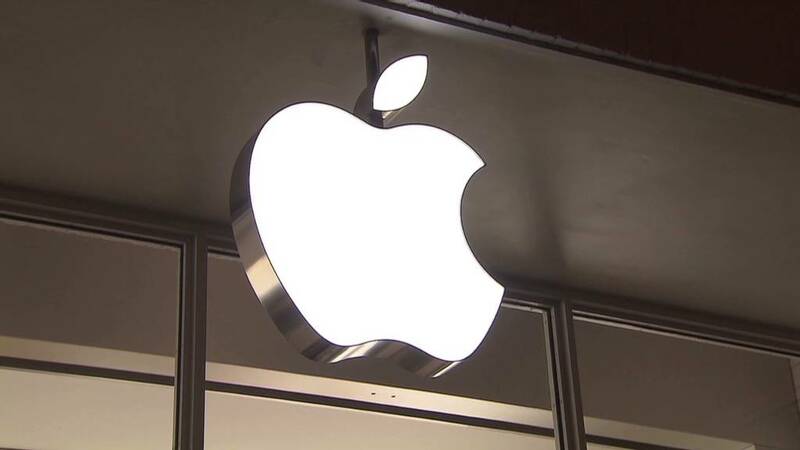 Apple shares hit a new record of $665.15 per share. The anticipated September launch of the new iPhone, coupled with rumors of a smaller iPad and a more feature-rich Apple TV have lifted the stock in recent weeks. It's a stunning achievement for a company that was a struggling also-ran when Microsoft was setting records in the late 1990s. Apple was valued at less than $10 billion as recently as 2004, and at $100 billion just three years ago. Since 2007, however, Apple (AAPL) has been an unstoppable force. Its iPhone business alone now brings in more money than Microsoft (MSFT). Even the iPad, which was intended to be a gap-filling product between the iPhone and the Macintosh, has itself become a multi-billion dollar product for Apple. Apple is on pace to be the world's largest technology company in terms of sales by the end of the year, and it's among the most profitable companies in the world. In the last three months of 2011, Apple made $13 billion -- second only to ExxonMobil's (XOM) record-setting $14.8 billion quarter from the fall of 2008, when oil prices were at an all-time high. The company's lightning-quick growth shows no signs of subsiding. With rumors of new gadgets on the horizon, Apple has crossed the $400 billion, $500 billion and $600 billion marks -- all in 2012 -- as the stock has soared 64% this year. Despite the fast growth, some say that the company is actually undervalued, since its stock gains haven't kept pace with its earnings. Trading at 15 times this year's earnings forecast, it has a price-to-earnings ratio far below that of some tech stocks, including Facebook (FB), Groupon (GRPN) and even Zynga (ZNGA), whose stock has plunged sharply. Apple still has one last hurdle to climb: Microsoft still holds the record for most valuable company on the stock market if inflation is taken into account. 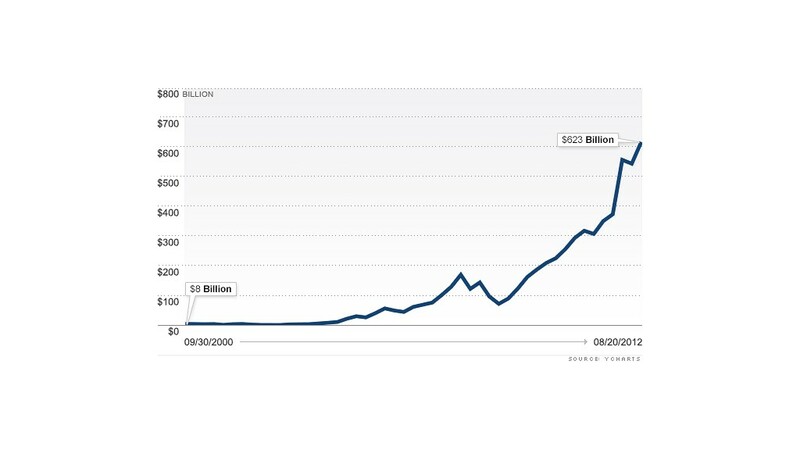 In 2012 dollars, Microsoft's all-time-high would have amounted to $851 billion. Apple has quite a way to go before it hits that mark. Its stock would have to reach $908 per share.